Sidewalks in Switzerland are about to get a little bit more crowded. 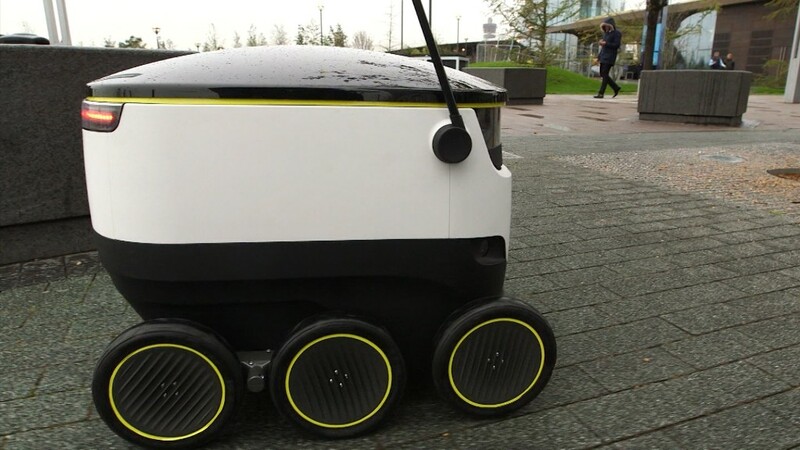 Swiss Post, the national postal service in Switzerland, will test robots next month in three cities to deliver food and medicine. The robots, which are small, six-wheeled pods, travel slowly on sidewalks. They're designed to avoid obstacles, including pedestrians, animals and cars. The robots, which come from Starship Technologies, are already being tested in Britain and Germany. They will also be tested in Washington, D.C. this fall. But don't expect deliverymen across Switzerland to disappear anytime soon. "We don't believe in substituting the human being part," said Claudia Pletscher, the head of development programs and innovation at Swiss Post. Pletscher added that the ground robots will be delivering dummy packages for now -- not your prescriptions just yet. 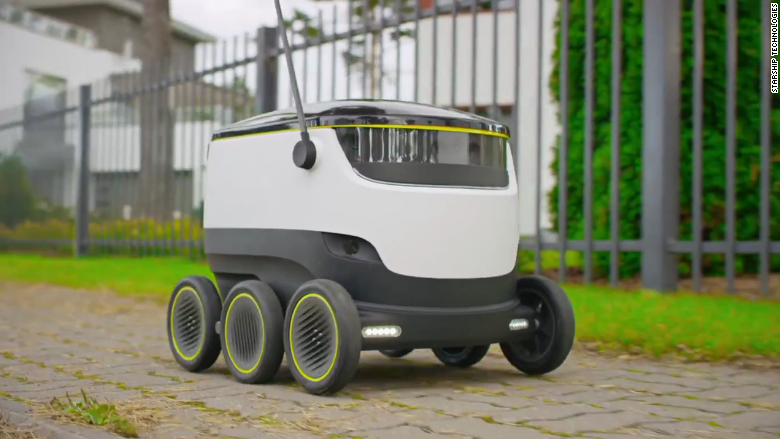 Swiss Post is curious to see how pedestrians and customers react to the robots traveling on sidewalks and making deliveries. After a few months of testing, Swiss Post will decide if it wants to use the robots regularly. Swiss Post will initially test five of the robots. They won't travel farther than three or four miles on trips. Swiss Post stands out as a government postal service with a strong interest in emerging technologies. It has previously tested drone deliveries and self-driving buses. According to Pletscher, Swiss Post realizes that as a logistics company it must stay abreast of trends in machine learning and robotics. Correction: An earlier version of this story misstated the number of wheels on the robot.